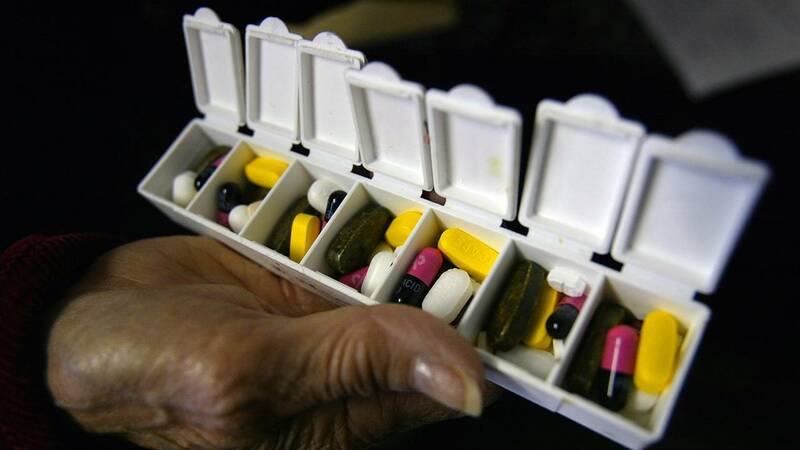 (CNN) - The US Food and Drug Administration is forming a Drug Shortages Task Force to look into the country's persistent drug shortages and find long-term solutions, according to a statement Thursday from the agency's commissioner, Dr. Scott Gottlieb. "We've seen the number of new drug shortages steadily decline since a peak in 2011," Gottlieb said. "Despite these efforts, we continue to see ongoing shortages of medically necessary products." Experts say these shortages aren't just causing the medical community to scramble for solutions -- they're hurting patients. "It's a patient safety issue," said Dr. James Augustine, chairman of the national clinical governance board for US Acute Care Solutions, a physician group that provides staffing for emergency rooms and hospitals across the country. Some patients, he said, are "scared to death for their life." Without their first-choice drugs for certain conditions, many doctors must make the best of what they have on hand, and these drugs may be less effective and have more side effects, Augustine said. Currrent shortages include opioid pain medications, certain anesthetics and various antibiotics, according to the FDA's list. Dr. Paul Kivela, president of the American College of Emergency Physicians, described the FDA's move as "a major step toward solving the complex and severe, and persistent drug shortage issue in the United States," according to a statement Thursday. His organization had called for the creation of a task force earlier this year, when it helped draw up a letter Gottlieb received in June that was signed by more than 130 members of Congress, Kivela said. The organization found that nine in 10 emergency doctors who responded to a poll said they had recently dealt with shortages of critical medicines in the ER. More than 40% said that they had seen patients suffer as a result. Health care practitioners have told CNN that they have had similar problems running out of pain meds, heart drugs, certain antibiotics, anti-nausea medication, electrolytes and more. Anesthesiologist Dr. Matthew Rabito said drug shortages in the hospital happen "all the time," and internal medicine physician Dr. Stephanie Kaplan recalled a monthlong shortage of Dilaudid, an opioid pain medication -- "the horror," she said. Physician assistant Rich Blackmon said that "it's a different drug every week" and that his team sometimes resorts to older drugs that haven't been used regularly in years. "We ration the remaining drugs for the patients that most need them, and we use alternatives when we can," Rabito said. The FDA monitors drug shortages through its Center for Biologics Evaluation and Research and its Center for Drug Evaluation and Research. Working with drug manufacturers, the agency prevented 145 shortages in 2017, according to its annual drug shortages report. During that time, the FDA tracked 39 new drug shortages, compared with a high of 251 in 2011. There were 41 ongoing shortages at the end of last year, as well. Gottlieb said that many of these drugs are generic medications with low profit margins that are expensive to manufacture under appropriate sterile conditions. Another recent source of drug shortages was Hurricane Maria, which amplified what had been intermittent shortages of IV bags when it hit Puerto Rico in September. Puerto Rico produces more pharmaceuticals by dollar value for the nation than any of the individual 50 US states or any foreign country, and it has been key to the supply of IV saline bags, which deliver fluids and medications to patients. "This is as disturbing a problem as we have seen in emergency care," said Augustine, who also sits on the American College of Emergency Physicians' board of directors. "We don't have the medicines we need," he said.